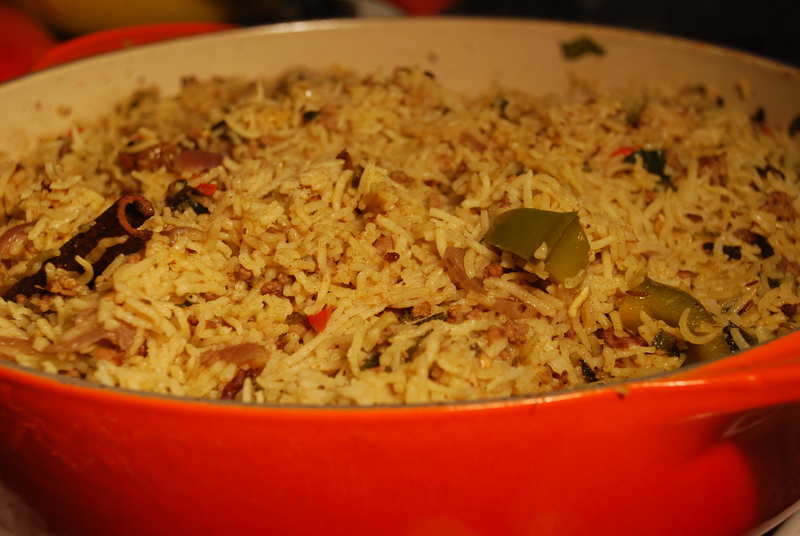 A proper biryani takes forever to make, this is a nice no fuss version when you don’t want to spend hours in the kitchen and still want to make something that will hit the spot! It tastes great served with yogurt and a salad. If you like your biryani more meaty by all means lessen the amount of rice here from 2 cups to 1 or 1.5 cups and then just double the amount of rice to calculate the amount of water you need. If you have some nice stock in the fridge by all means use that to make the flavor even nicer. Lamb or chicken stock would work well. 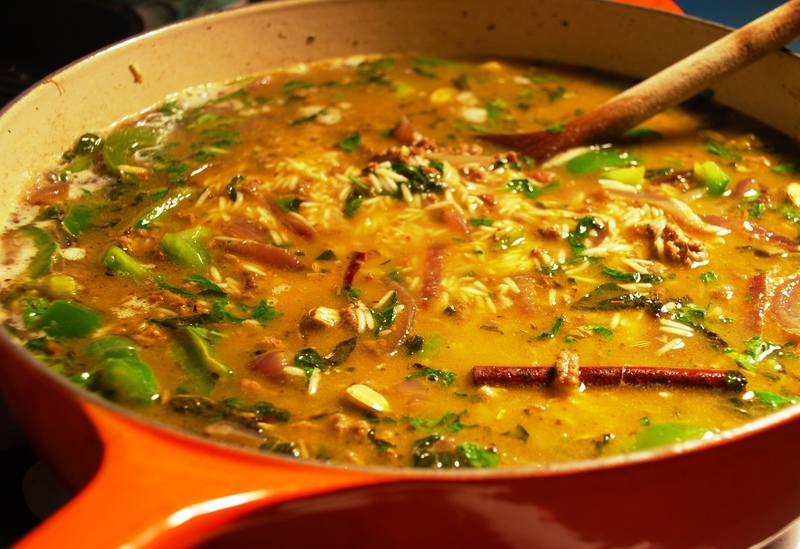 Heat the oil and add the cinnamon, black cardamom, green cardamoms, cumin seeds, bay leaves, cloves. Let them sizzle for a few seconds and then add the onions. Cook till onions go a bit soft, and add the ginger and garlic. 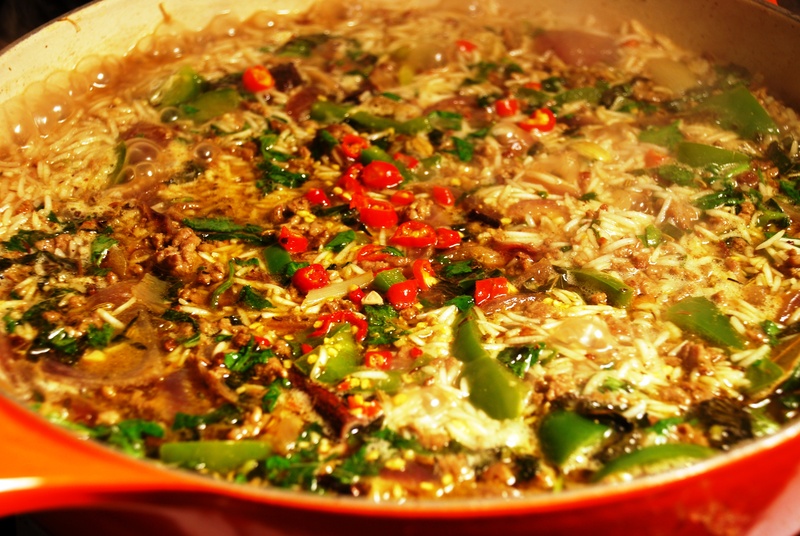 Cook for a couple of minutes, and then add in your minced lamb and a bit of salt. 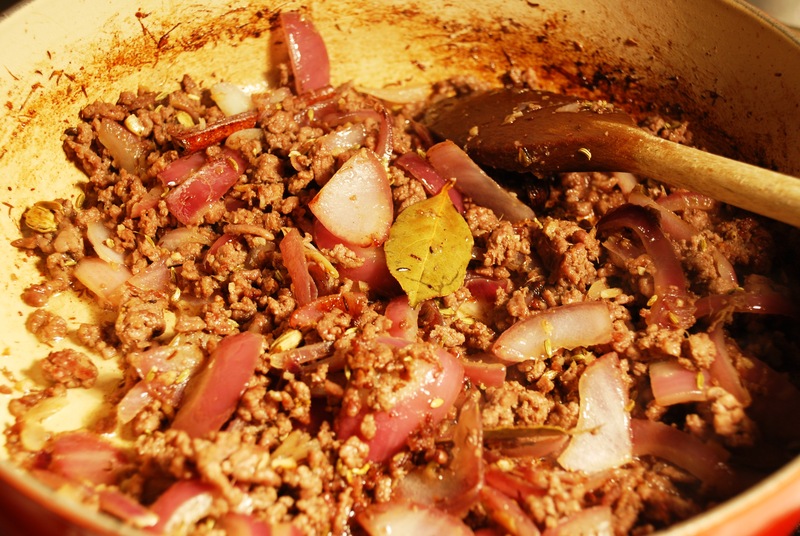 Keep stirring and break up the mince, cook it till the meat has browned. 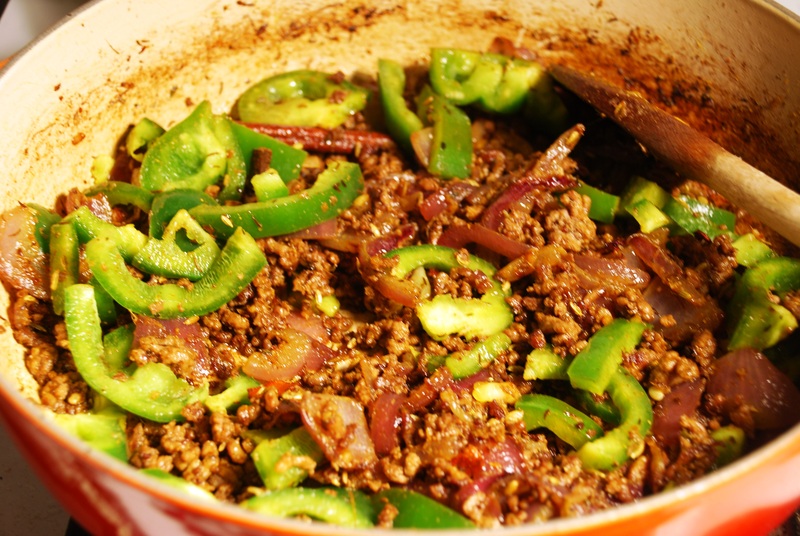 Add the sindhi biryani masala andthe fresh chopped green chilli, stir and cook for a couple of minutes. 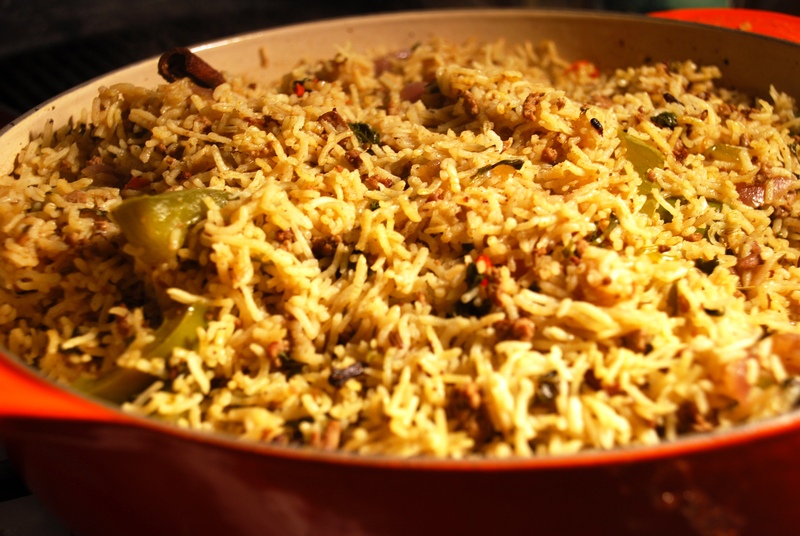 Add the washed rice, along with the mint and coriander and dill leaves, stir around and cook for a couple of minutes. Now add the water and juice of one lemon. Add a handful of golden raisins. Stir and bring to a boil. Now cover your pot and bring the heat right down, so the rice cooks slowly. 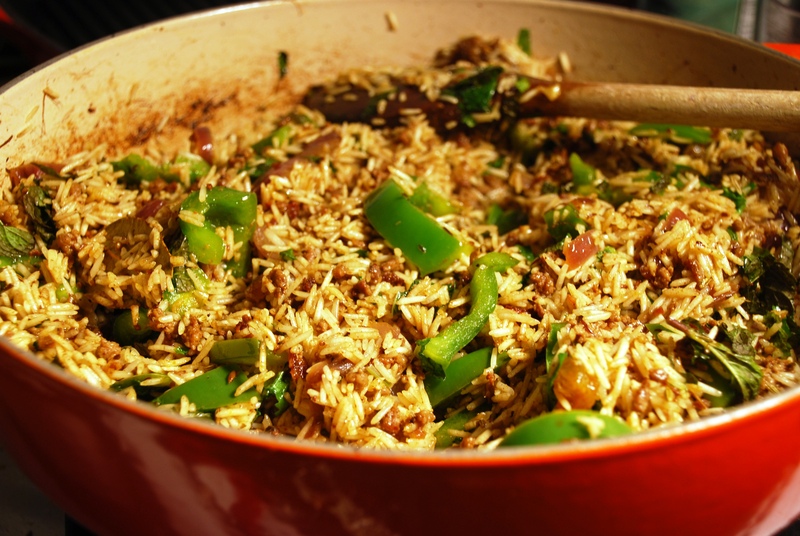 Once the water has dried up and your rice is cooked fluff up your rice with a fork and serve.